The Hi-Desert Nature Museum invited Karyl Newman of Dehsart to participate in their Family Fun Day, Saturday, July 30th from 10-3 at the Yucca Valley Community Center. With the help of our friends at Harbor Freight, objects collected at a recent cleanup have been cleaned and polished, ready for creative reuse. 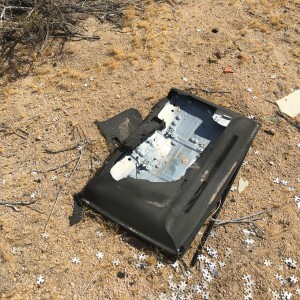 Let’s discuss the puzzling problem of illegal dumping. Bring your imagination and take home some eco-art!